Read more from Crutchfield writer, Emily S.
Written by Crutchfield's Emily S.
Traditionally the overhead effects of Atmos have been achieved with upward-firing speakers (or in-ceiling speakers if you have that capability). 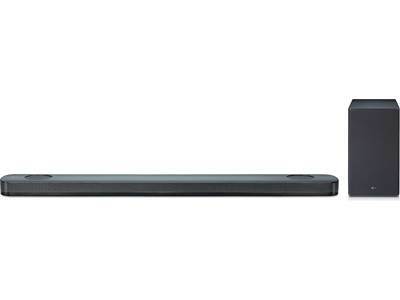 LG's SK8Y uses digital processing to simulate height effects using only the sound bar's two front-firing speakers. That means three-dimensional effects with a much smaller footprint. You don't want your action movie to sound just like the news, and you don't want concert footage to sound like a football game. Well, good news — the SK8Y features Adaptive Sound Control which identifies your content and adjusts the sound mode accordingly. You get better audio without lifting a finger. Music lovers will appreciate the SK8Y's support for high-resolution audio files up to 24-bit/192kHz. Plus, its high-fidelity digital-to-analog converter can upsample your lower-res music files to pull out every musical detail. 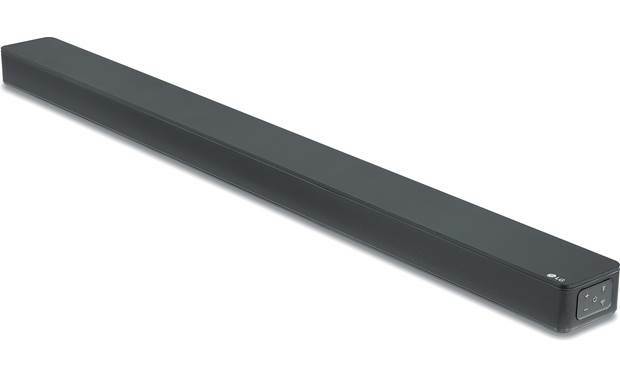 Whether you want to stream your favorite Spotify® playlist, shuffle all your Pandora® stations, or listen to your downloaded songs, this sound bar has you covered with both Wi-Fi® and Bluetooth® capabilities built in. And if you have a Google Home device, you can control it with your voice. These are fantastic for music on out new LG 49" TV work great and fill the room with sound. Get the rear speakers and fill you room with sound. Love the advice from Crutchfield.. 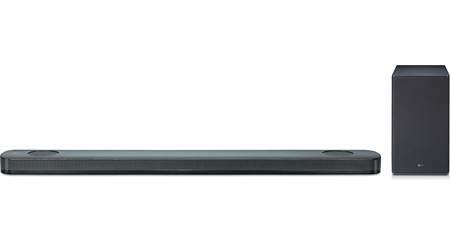 Active Soundbar Speaker w/ Dolby Atmos: The LG SK8Y soundbar supports Dolby Atmos, letting you discover a more immersive audio experience when watching TV with 160 watts (RMS) of total power. Unlike traditional Dolby Atmos sound bars, which direct overhead effects upward to be reflected off the ceiling, the SK8Y virtually creates these height channels to add thrilling surround sound to movies and TV shows (Dolby Atmos is only oavailable on select content). 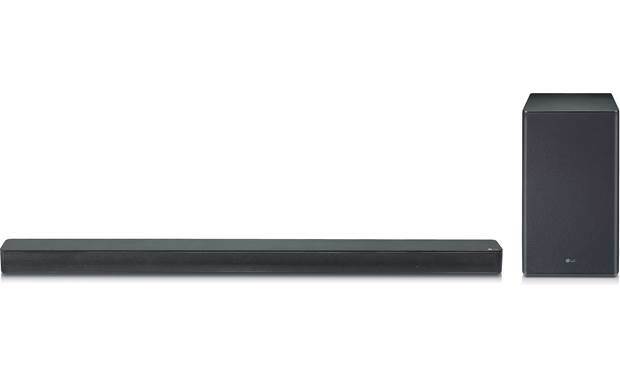 The soundbar can simply be placed on a shelf or wall-mounted using the included wall-mount brackets. 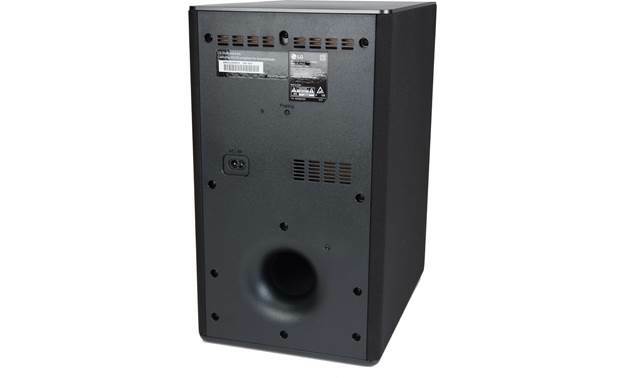 Wireless Powered Subwoofer: The wireless powered subwoofer houses a front-firing 6.5" woofer powered by a built-in 200W (RMS) amplifier inside a bass reflex cabinet with a rear-firing port. 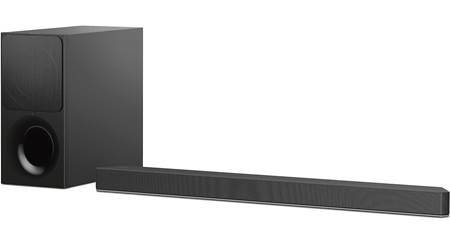 Because its wireless, can place the subwoofer almost anywhere in your room (up to 33' from the soundbar). But, it is better to place the subwoofer near the soundbar for optimum sound quality. Turn it slightly toward the center of the room to reduce the wall reflections. The wireless powered subwoofer does require an AC outlet connection. 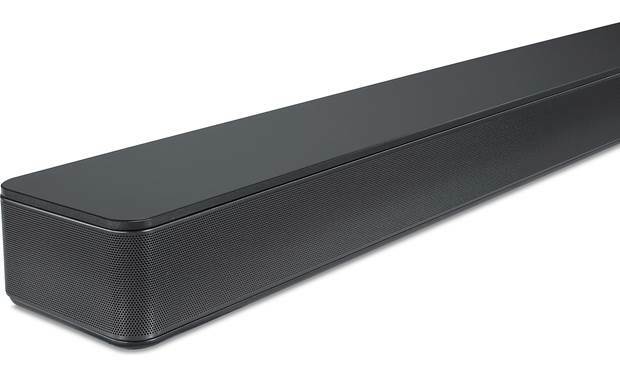 Wireless Surround Ready: The SK8Y soundbar system has been designed to integrate with LG's SPK8-S optional wireless surround speakers (sold separately), adding dedicated rear channels with wireless convenience. 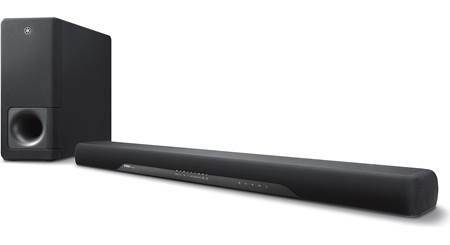 The SPK8-S includes a receiver unit and pair of speakers that link wirelessly to the LG soundbar. Digital Surround Sound Formats: The LG SK8Y system supports the following multichannel digital audio formats through its HDMI & optical digital inputs. HDM 1.4 Input/ARC Output: The LG SK8Y soundbar speaker system is equipped with a HDMI 1.4 input and HDMI 1.4 ARC output that support 480p, 720p, 1080i, and 1080p video (not compatible with 4K or HDR video). The HDMI jacks also support Dolby Digital/DTS multichannel audio formats (including Dolby Atmos). The ARC (Audio Return Channel) function of the soundbar HDMI output enables an HDMI capable TV to send its audio stream to the HDMI output of the soundbar system. Notes: Because some televisions, the ARC-enabled HDMI input will only pass 2ch PCM from devices connected to the TV via HDMI or analog, we recommend that you connect your Blu-ray/DVD player or Satellite/Cable box to the LG SK8Y directly; and then connect the SK8Y's ARC-enabled HDMI output to your TV's ARC-enabled HDMI input. This setup will give you with the best overall sound performance. Analog & Digital Audio Inputs: In addition to HDMI, the soundbar system features both analog (minijack) and digital (optical) audio inputs for connecting external audio sources, such as your DVD player and CD player, that do not offer HDMI connectivity. There is single minijack (3.5mm) analog audio input and one optical (toslink) digital audio input. The optical digital input supports Dolby Digital (up to 5.1ch), DTS (up to 5.1ch), and PCM (up to 2ch) audio signals. Note: The digital optical output terminals of some flat-panel TVs only send an audio signal in 5.1ch when receiving Dolby Digital/DTS surround sound from the TV's built-in tuner, network connection, or connected USB device; and will output only 2ch stereo from sources connected to the TV via HDMI, or RCA (like your Blue-ray/DVD player or satellite/cable box). 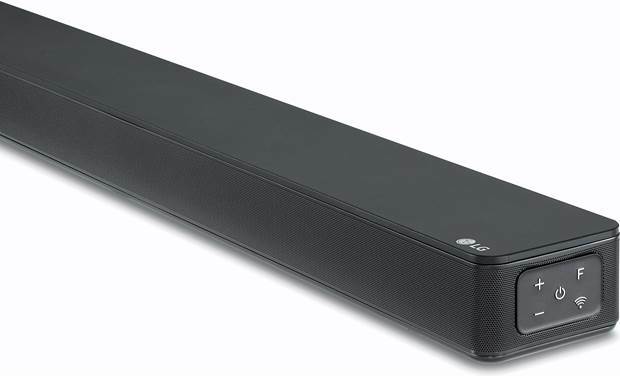 Sound Effects: The LG SK8Y soundbar speaker system has a number of preset surround soundfield modes to make listening to your movie or music soundtracks even more enjoyable. Adaptive Sound Control (ASC): Adaptive Sound Control (ASC) identifies what's playing and automatically adjusts the sound mode to create the ideal audio experience. Bass Blast+: Bass Blast+ reinforces the bass for a more powerful sound. Standard: Standard mode provides optimum sound for most applications. Movie: Movie mode lets you enjoy a more immersive and cinematic surround sound. Music: Muse mode lets you enjoy better sound from music sources. Output Levels: The LG SK8Y provides a variety of output level adjustments for different listening applications. Sound Levels: You can adjust the system's overall bass & treble, as well the subwoofer output level and the optional rear speaker output level. Auto Volume: The LG SK8Y features Auto Volume which automatically adjusts the volume level of the soundbar speaker system during loud and low passages, keeping the volume level constant across all programs and advertisements. Dynamic Range Compression (DRC): The Dynamic Range Compression (DRC) function allows you to compress the dynamic range of Dolby Digital and DTS sound tracks. Only accessible from the LG WiFi Speaker App for Apple iOS and Android. Night Mode: Using Night mode, you can enjoy sound effects and hear the dialog clearly even at a low volume levels. Only accessible from the LG WiFi Speaker App for Apple iOS and Android. AV Sync: The audio output can be delayed so that the time gap between the audio output and the visual display is minimized. This is especially helpful when you are using a large TV or a projection screen. When activated, the delay can be adjusted from 0 to 300 ms.
Wireless or Wired Network Connection: The LG SK8Y supports a wireless or wired network connection via built-in WiFi or its rear-panel Ethernet jack. Via the system's network connection and your internet provider, you can enjoy select online music apps from Chromecast built-in. 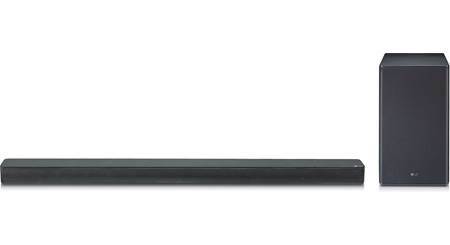 Built-in WiFi: The soundbar offers built-in dual-band (2.4/5GHz) WiFi (802.11n) that allows you to wirelessly access the Internet and your home network. The TV's built-in WiFi provides a wireless network connection for the television with easy and quick setup. With this feature, you can easily connect to a wireless LAN and enjoy the benefits of networking in a cable-free environment. A wireless connection requires a home network with an 802.11 access point and internet connection. Supports WPS, WEP, and WPA security; a dual-band Gigabit wireless-N or better router is recommended. 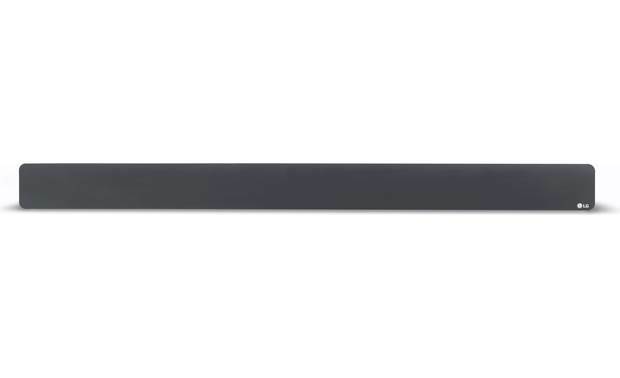 Ethernet Jack: In addition to built-in WiFi, the soundbar is equipped with an Ethernet (LAN) RJ-45 jack for connecting the television to your home network and computer. Simple-to-Use: Chromecast Built-in allows you to search, browse, play, skip, and turn up the volume directly from the music apps you know and love on your compatible phone, tablet or laptop. While you cast your music, you can still use your phone to answer a phone call, play a game, send a text, and even leave the room, all without interrupting what's playing on the speaker system or draining your battery. Friends and family can even use their own Chromecast Built-in compatible phone or tablet to cast music to your system by connecting to your home's WiFi network. Google Home: Multiple Chromecast Built-in speakers can be added to the same WiFi network to form a multiroom audio system using the Google Home app. Using the Google Home app (for Apple iOS 9.1+ and Android OS 4.1+), you can sync multiple speakers with Chromecast Built-in in multiple rooms of your home to play the same song throughout your house at the same time. Only Chromecast Built-in compatible music apps are supported. Voice Control (Optional): Purchase a Google Assistant enabled wireless speaker (sold separately - see Accessories Tab) and gain voice control of compatible Chromecast Built-in music apps. You'll be able to access a specific music app and then select a specific station or song using only your voice. You'll also have voice control over Play, Pause, Skip, & Volume. The LG SK89Y & the Google Assistant enabled speaker must be connected to the same wireless (WiFi) network. High Resolution Audio with 24-Bit/192kHz Upsampling: The LG SK8Y supports streaming of low resolution high resolution music files through its network connection and Chromecast built-in. Support music files include MP3 (up to 320kbps/48kHz), AAC, WAV, FLAC (up to 24-bit/192kHz), and OGG. The system will even upsample compressed and low resolution music files to up to 24-bit/192kHz for a better listening experience. Bluetooth Audio Streaming: The LG SK8Y features built-in Bluetooth 4.0 for wireless audio streaming. You'll be able to wirelessly stream stored music, music apps, and other audio content from your Bluetooth source device (including a LG TV) to the LG soundbar system (supports SBC and AAC codecs). Basic control (such as Play/Pause and Previous/Next Track) can be done from the included IR remote. Advanced music browsing and song/artist/album display will still need to be done through your Bluetooth source device (not the soundbar). Only one device can be paired and connected at a time (does not support multi-device pairing). The system has a wireless Bluetooth range of approximately 33'. Note: Due to the differences in Bluetooth technology, some Bluetooth enabled devices may be incompatible, function improperly, or may not support all features when used with the LG system. IR Remote: The included IR remote provides wireless operation of the soundbar speaker system. 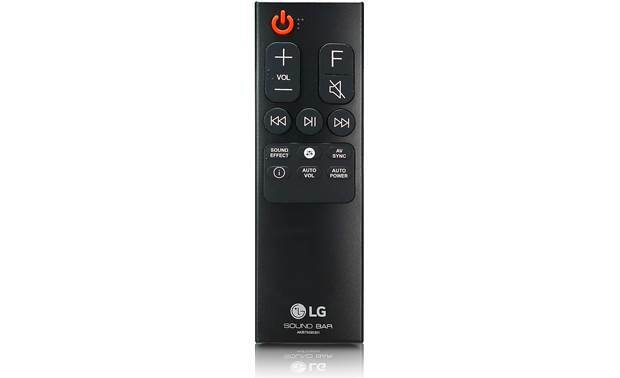 TV Remote Compatible: You can reduce remote control clutter by using your TV remote to operate the LG sound bar. Eight brands of television remotes are pre-programmed and currently supported (including LG, Samsung, Sony, Vizio, Philips, Panasonic, Toshiba, Sharp), enabling volume adjustment on the soundbar. 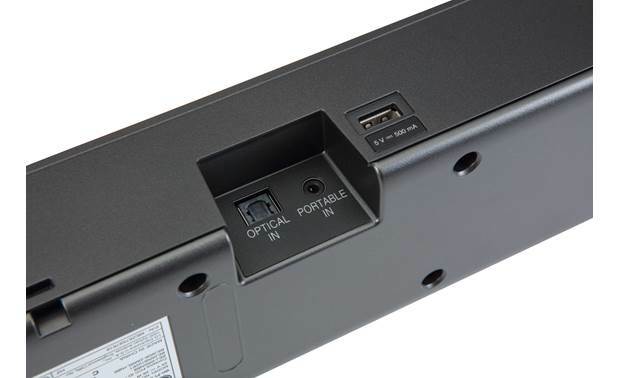 HDMI-CEC (SimpLink): Some functions of the soundbar speaker system can also be controlled by your TV's remote when the speaker system and your HDMI-CEC compatible TV are connected via HDMI. Controllable functions by your TV's remote control include power on/off, volume up/down, and mute. 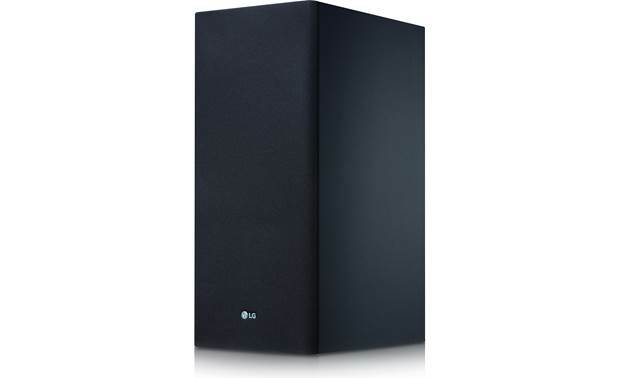 LG WiFi Speaker App: Download the LG WiFi Speaker App (for Apple iOS 10.0+ and Android OS 5.0+) onto your compatible Apple iOS and Android mobile device to unlock even more features of the LG SK8Y soundbar speaker system. Through this application, you can wirelessly stream music stored on your compatible mobile device to the soundbar speaker system, as well as configure various settings and control sound effects of the system. Auto Input Select: The SK8Y soundbar system recognizes audio input signals from HDMI, Optical, Bluetooth, Aux and the LG WiFi Speaker App so it can automatically switch to the appropriate source input. Auto Power Down: The soundbar system will turn itself off automatically, when the system does sense and audio signal and is not used for approximately 15 minutes. Does Lg sk8y support 4k passthrough? It does not, no. So, you would need to connect any 4K capable external video sources directly to the inputs of your 4K TV and provide the audio back to the SK8y via the HDMI ARC or digital optical inputs. Searches related to the LG SK8Y Powered 2.1-channel sound bar with wireless subwoofer, Wi-Fi®, and virtual Dolby Atmos®.